Sherelle Eyles was awarded her Bachelor of Music with First-Class Honours from the University of Sydney having studied performance with Neta Maughan and Pamela Page, and Australian music studies with composers Peter Sculthorpe, Ross Edwards and Anne Boyd. She won a scholarship to the Royal College of Music London where she passed her Master of Music degree and Postgraduate Performance Diploma with distinction. In London, she studied piano performance and piano accompaniment with many internationally recognized performers including Irina Zaritskaya, Geoffrey Parsons and Robert Tear (Royal Opera House London) and was selected from international auditions to attend the Britten-Pears School for Advanced Musical Studies, studying Wolf Lieder with repetiteur Martin Isepp (Metropolitan Opera, New York). She has performed as part of the Park Lane Group Young Artists’ Recitals at Royal Festival Hall London where she gave the London premiere of Sculthorpe’s Simori, was a finalist in the Royal Overseas League Competition London, as well as being guest artist with the Swedish Helios Quartet performing Timothy Salter’s Piano Quintet at the Fast Forward Contemporary Music Festival London. 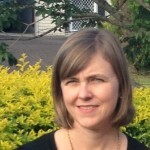 Sherelle has lectured at the University of Queensland in music history and compositional techniques, and at national conferences, and has adjudicated eisteddfods and prizes. She has given numerous Pre-Concert Talks for The Queensland Symphony Orchestra and Queensland Philharmonic Orchestra and has reviewed classical concerts for The Courier Mail. She has performed as part of the Qld Symphony Orchestra Chamber Series, with Musica Viva and the Australian Piano Duo Festival. Sherelle composes children’s choral pieces that have been performed by children’s choirs across Australia, several of which are published in Mark O’Leary’s Young Voices of Melbourne Choral Series. Her choral songs have been sung at Out of the Box Festival, Brisbane 2012­; The State Choral Festival of Victoria, 2011; The Next Generation Sings Festival, Gold Coast 2012; Young Voices Choral Festival 2013; Choral Fanfare 2013, ANCA Treble Voices Singing Through Life Festival 2014, Qld Youth Music Awards 2014, and the Qld Young Conservatorium State Honours Ensemble Programme 2013; and have won first prize in the Under 12s Championships at the National Choral Eisteddfod, Canberra 2012. Further performances include Junior Gondwana (Sydney Children’s Choir) at the Summer Music Camps, January 2013 and the Suzuki Foundation Graduation Concert at Sydney Opera House, 2014; and chosen set choral pieces of the National Choral Eisteddfod, Canberra, 2013 and Western Australia Massed Choirs Festival 2014 involving over 4000 children, Singfest Qld with 2,000 primary school children and the Primary Proms at Sydney Town Hall 2015 involving 2,500 children. She has been commissioned by Brisbane Grammar School Chamber Choir for the Pemulwuy Male Voice Festival 2014 and Voices of Birralee for the Pemulwuy Male Voice Festival 2017. Her song ‘Gecko’, was a finalist in the Queensland Music Awards 2013 – Children’s Song Category. Sherelle is an Australian Music Examinations Board examiner. She has been a piano and theory teacher and choral accompanist at Brisbane Girls’ Grammar School and All Hallows’ School since 1997. Sherelle was composer representative of the Australian National Choral Association, Choralfest, 2017.